Skid steer lifter and its attachments have their roots deep in farming. Today, this equipment and its accessories are used in dairy operations and larger farms too. The equipment helps increase work productivity. It reduces the hours of manual labor. Having a skid steer lifter on your farm offers you various benefits. With more than a hundred attachments, this machine has become quite popular. Its compact size, maneuverability, wide functionality and power give them the ability to perform small turns in tight spaces. 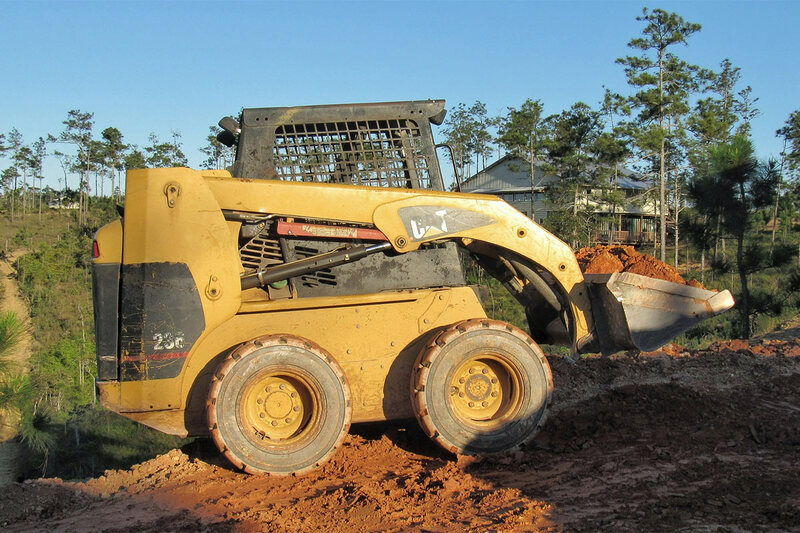 Farming attachments in skid steer lifters are mostly used for moving dirt. However, they do have a couple of more applications. Some attachments work as mowers and some as a pulveriser. A rotary broom sweeps trash and debris, tree shear and brush cutter help tackle hedgerows, a rotary tiller helps prepare gardens and an auger helps in making deep holes for fences and planting trees. In some cases, a skid steer attachment can be also used for steering sick cattle. The best part about these attachments for the agriculture sector is that their uses are unlimited. This is the most common attachment and is found on every farm. It offers a high tear force thanks to the shorter bottom plate. Buckets come with every steer lifter and that is why they are so popular. The bucket is used for loading gravel and sand, and any other heavy materials, which require effort to be lifted off from the ground. This attachment is exactly its namesake. It simply pierces the hay bale, lifts it and carries it from one point to the other. When buying a bale spear, make sure the spear is long enough that it pierces the hay bale three quarters. This attachment is multipurpose, if it has an overhead clamp or grapple. It is used for clearing up hay and manure. The grapple ensures that there won’t be any spillage. This attachment loosens silage from bunkers or silos. It allows you to maintain a smooth surface and the original cut length of the silage. Moreover, it reduces spillage. The slurry bucket is similar to the general purpose bucket but doesn’t have any teeth. It is used for scooping up wet manure. Since these attachments are so common, they are easily available online on websites such as deltaequipment.com.au. Depending on how big your farm is or the agricultural land you are looking after, you would have to choose your equipment carefully. Final advice: when choosing a skit steer lifter, pay attention to its functionality, especially the torque and horsepower. Both of these aspects are quite important and will determine how fast the lifter works.